AIA Chicago is proud to announce transFORM 2.0! AIA transFORM, back for a second year, is an interdisciplinary, interactive series of classes focused on skill building for the business of architecture. This intensive program centers on transformational leadership, utilizing strategic, tactical and operational skill sets designed to affect change in an architect’s individual career and within their firm. The program also serves as a premier network and relationship building platform through participation in Growth Groups. 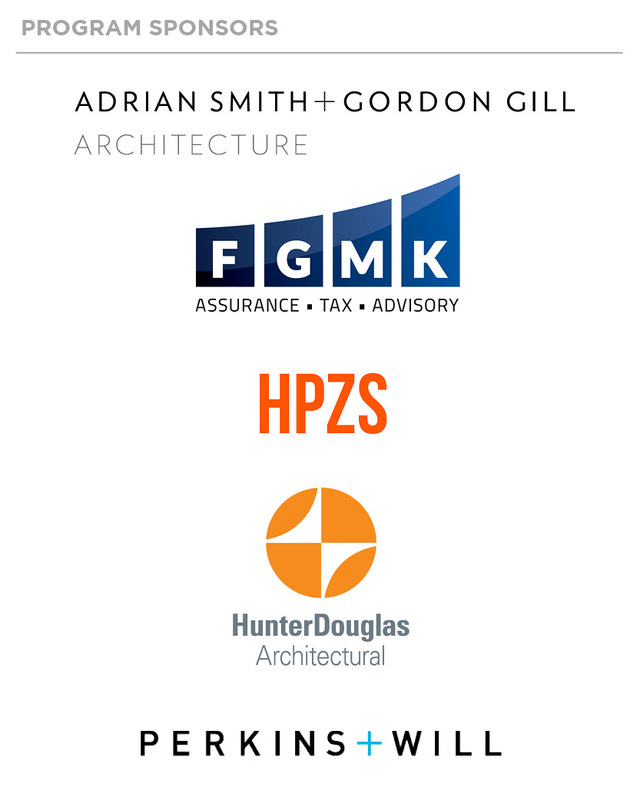 Co-sponsored and powered by the Goldman Sachs 10,000 Small Businesses (GS10KSB) Chicago program, and in partnership with Harold Washington College, this collaboration brings award-winning faculty to the fingertips of AIA Chicago members and AEC professionals. AIA Chicago transFORM combines a taste of the business curriculum offered to GS10KSB participants with the business of architecture. Each of the four “modules” in the series features interactive activities, speakers, panelists and educators from within the AEC community, providing real-world integration of business skills with leadership fundamentals. The program is centered upon a 5-year personal/professional development plan, providing an armature for implementing lessons learned and deploying entrepreneurial tools for immediate use within both large and small firms. Each session will focus on both new content and the application of previously taught skills. All participants will be expected to report on how they have applied learned skills to affect change, allowing their peers to share feedback about that applied growth. Are you a sole proprietor, the manager of a small or medium-size firm, in line to become a manager, or planning to be a manager or firm owner some day? If so, transFORM may be for you. transFORM offers a taste of the Goldman Sachs 10,000 Small Businesses curriculum, a national program for small businesses that links learning to action. Through the program, participants gain practical skills in topics such as business planning, marketing, and employee management that can immediately be put into action. Dinner is provided at each session. Between each module, Growth Groups are encouraged to meet at least one (1) time to complete pre and post class exercises which feed participants' individual Growth Plans and prepares them for the next module. This program is meant to be completed as a whole and sessions will not be offered individually. AIA Chicago encourages both members and non-members to apply, at all career development stages. While GS10KSB defines a small business as one with 500 or fewer employees, this program is specifically geared toward architects and AEC professionals at firms of all sizes. This program has sold out, and the wait list has been closed.